-The Bob Moog Foundation has announced that it is relocating its offices to 56 Broadway in downtown Asheville, a spot that will also serve as a future museum – the Moogseum – honoring the electronic music pioneer. The Bob Moog Foundation has been in offices in the Miles Building. The 56 Broadway location has been home to the Black Mountain College Museum and Arts Center, which is moving to a new spot at 120 College St. The Bob Moog oundation plans to open the Moogseum next year. Several years ago, The Orange Peel hosted a small display of Moog equipment and plaques explaining Moog’s history in a sort of mini-Moogseum proof of concept. -This year marks the 25th anniversary of the Mountain State Fair in Fletcher. The annual fair runs Sept. 7-16. -The Biltmore Estate will host a new costume exhibition next year that will recreate clothing from the Gilded Age, a period covering the mid 1800s up to the turn of the century. Romantic Asheville has the deets: audio storytelling and elegant clothing meticulously recreated from archival Vanderbilt photos. -Asheville musician Caleb Johnson, the winner of season 13 of American Idol a few years back, has just announced that he’s touring with Trans-Siberian Orchestra. That tour starts in November. That’s in addition to Johnson announcing he would be doing five shows featuring the music of Meat Loaf, with varying reports on whether or not Meat Loaf would actually be a part of shows. That series starts in September. -Work continues on the new Rise Above Bakehouse out on Fairview Road. “It’s been a long journey with lots of ups and downs, but we promise we are working hard to get open and serve y’all the best breads and pastries we can produce. Stay tuned, we will for sure let y’all know when we can set a firm opening date,” they report via Facebook. -A new Chick-fil-A restaurant is planned for Smokey Park Highway in Asheville, where a new Ingles grocery store and associated shopping center is under redevelopment. 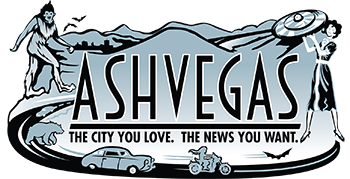 -AVL Lit Tours is a new walking literary tour in Asheville, reports Mountain Xpress.